ALLEN WOLF is a former award winning broadcast Journalist turned Attorney. He has been practicing law for over 37 years and is the founder and principal member of THE WOLF LAW FIRM. After receiving his Juris Doctorate from Wayne State University Law School in 1980, he left journalism and was appointed as an Assistant Prosecuting Attorney by then Oakland County Prosecutor L. Brook Patterson. Patterson told the Detroit Free Press that Wolf was "one of the most exciting professional trial attorneys" he's ever seen. According to Patterson, Wolf "takes a case, works the hell out of it and gets fantastic results." In 1986, the U.S. Department of Justice recruited Wolf to become an Assistant United States Attorney in Detroit. During his tenure as a Federal Prosecutor, Wolf was cross-designated as a Special Assistant Michigan Attorney General by the State Attorney General Frank Kelly in connection with Wolf's assignment to coordinate a joint Federal/State Arson Task Force. Assistant U.S. Attorney Wolf completed assignments in the White Collar Fraud and Special Prosecution Units before leaving federal public service for the private sector in 1988. It was at that time his legal experience expanded to include civil law as an Associate in a large Southfield insurance defense firm, and then as a Partner in a business firm. In 2001, Wolf opened his own law office on Lake Orion in Oakland County, Michigan after the Oxford Police, Fire and EMS Commission retained him as Special Counsel to conduct an internal investigation of its police chief. Wolf's law practice includes business litigation, insurance and personal injury law, and criminal defense. Attorney Wolf handles cases in products liability, fraud, computer crimes, OWI/DUI, health care fraud, contract disputes, noncompete agreements, collections, subrogation, arson and fire investigations, appeals and grand jury investigations. 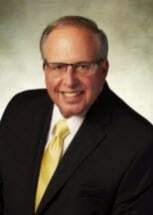 Mr. Wolf is a former President of the Rochester Bar Association, current Vice President of the Michigan Fire Safe Foundation and is a former member of the Michigan Arson Prevention Committee. When not practicing law, Wolf enjoys kayaking, sailing, mountain biking and snowmobiling at his cottage on Lake Huron in northern Michigan. Wolf is a computer and electronics enthusiast and holds a FCC Extra Class Amateur (Ham) Radio License which allows him to communicate with other hams around the world for emergency, public service and hobby purposes. Allen Wolf has been selected as a Michigan Super Lawyer. Nominations for this prestigious honor are limited to 5% of the practicing attorneys in Michigan. Wolf has also received an AV Peer Review rating from Martindale-Hubbell, which is the highest designation for ethical standards and legal ability awarded to attorneys nationwide, and has the rating of "Superb" on AVVO, a well know Independant Attorney Review Service. Michigan Supreme Court Letter of Commendation for Assistance in Producing Judicial Training Film on "Privileges"